Ventura has added the latest generation KTM 790 Duke, Ducati Monster 797 and Yamaha MT-07 to it’s fitment list – offering lightweight luggage options for most modern middleweight street bikes. 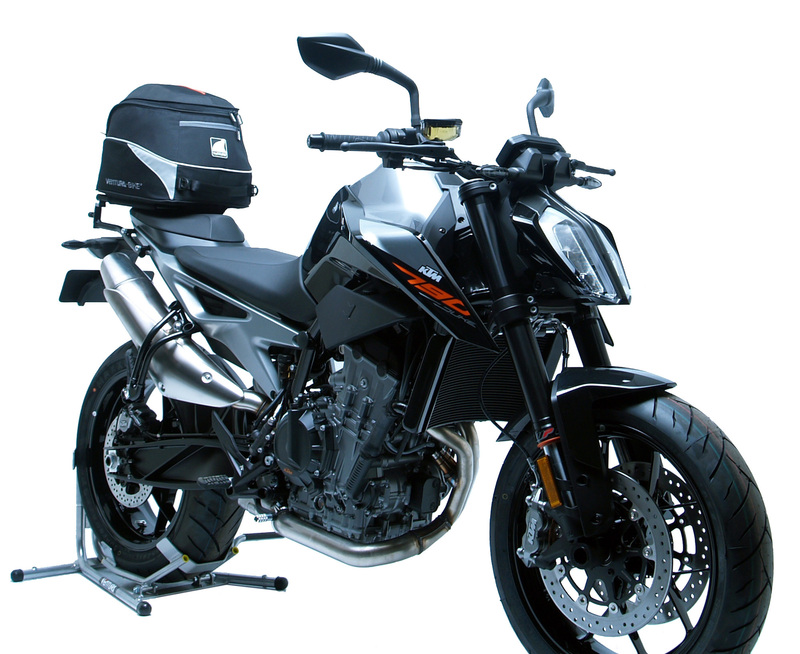 It’s ideal for streetbikes, which all have limited luggage carrying capability – their minimalist rear-ends offering little option for mounting soft bags or hard cases. The Evo Rack slots into the L-Brackets, offering a stable and secure platform for the luggage. The Pack simply slides onto the Rack and clips into place. This unique mounting system ensures the load won’t shift, even during hard riding. It can be carried directly behind the rider close to the bike’s centre of gravity, and re-positioned behind the pillion seat when a passenger is onboard. Both options carry the pack well clear of exhausts and the rear wheel. When luggage isn’t needed, both the Pack and Rack can be removed in seconds, leaving only the L-Brackets behind. The rider then has the option of fitting a Grab Handle. 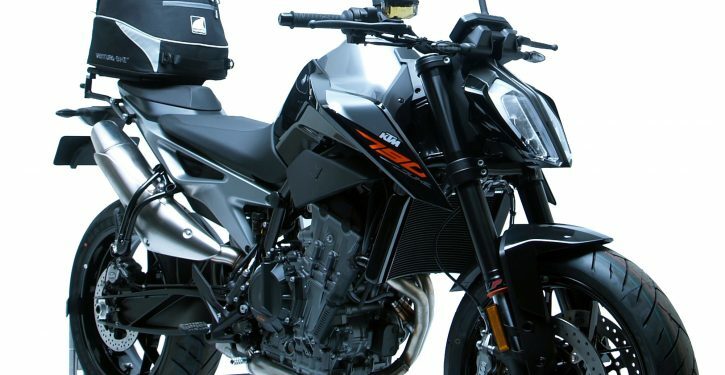 A typical system consisting of the L-Brackets, Evo Rack, and a Evo-22 Jet Stream Pack retails at £332.98 for the KTM, £323.98 for the Monster and £362.97 for the MT-07, (all including VAT).